The NEW, wall mounted LifeStyle VERTICAL Ironing Board is designed to give you the benefits of a full sized ironing board with a minimal width to fit into narrow spaces such as closets, cabinets and other space constrained areas. 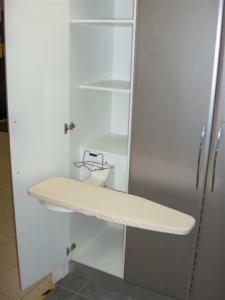 Rather than opening parallel to the wall or cabinet, like the Full Size ironing board, the Vertical ironing board folds out perpendicular to the wall which allows you to install this into very narrow spaces. 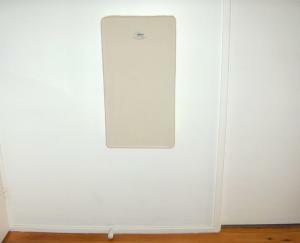 Similarly our ¾ size compact board is also in the vertical-perpendicular format making it ideal for narrow spaces on walls or building it into small broom closets or cabinets. But, even where space is not a problem, you will still enjoy the many benefits of the practical, stylish and affordable LifeStyle Vertical Ironing Center. Takes up minimal wall space! 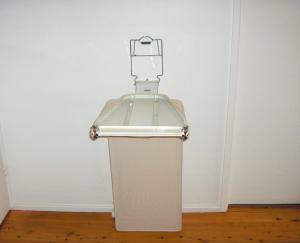 It’s patented, space-saving design folds away when not in use to just a mere 4¼" wall profile! 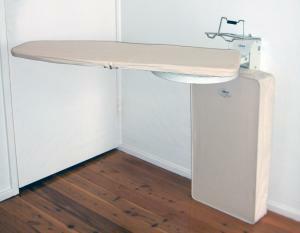 This product was exactly as shown on the website...full size ironing board, folds up to low profile, easily installed. The product was as advertised and easy to install.